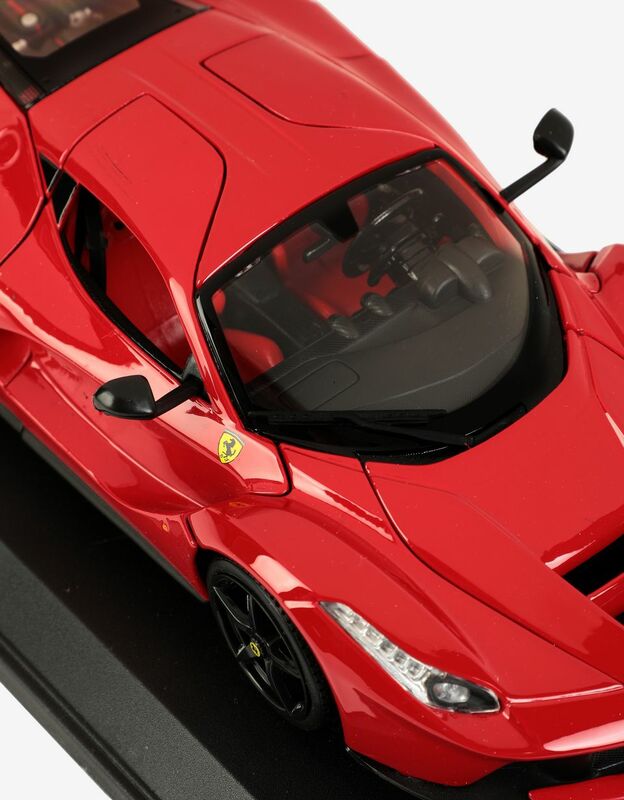 Ultra-realistic details are featured on the LaFerrari R&P model produced by Bburago for Scuderia Ferrari on a 1:18 scale. 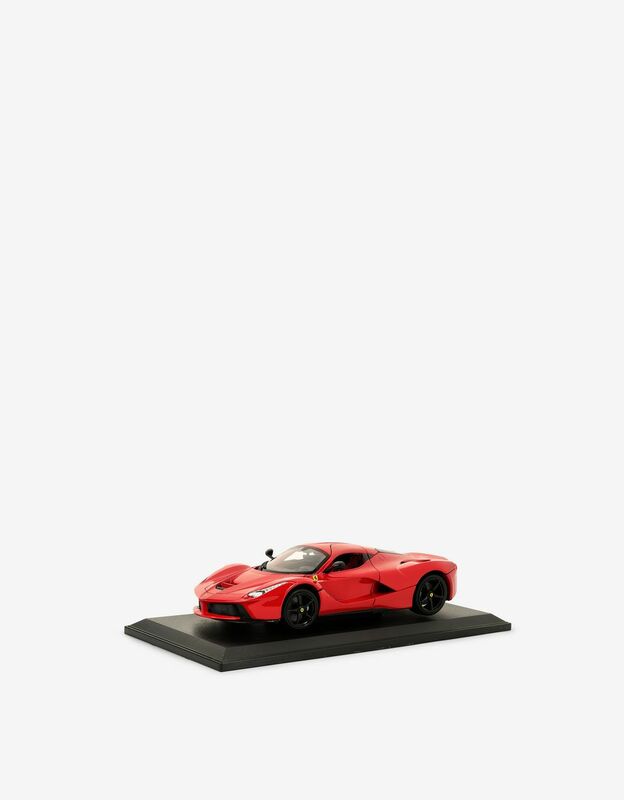 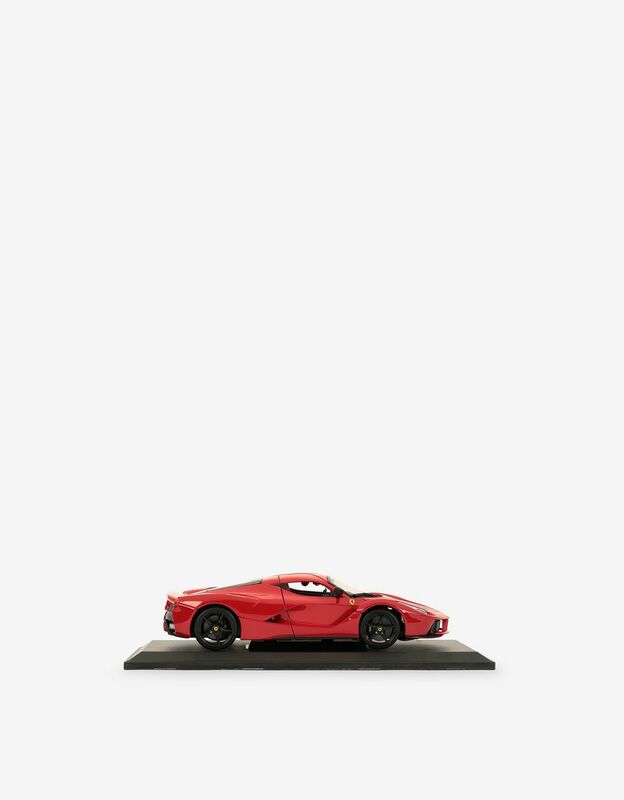 This die-cast LaFerrari model stands out for its attention to detail, faithfully reproducing the first Ferrari car with a hybrid engine, for guaranteed performance and fun. 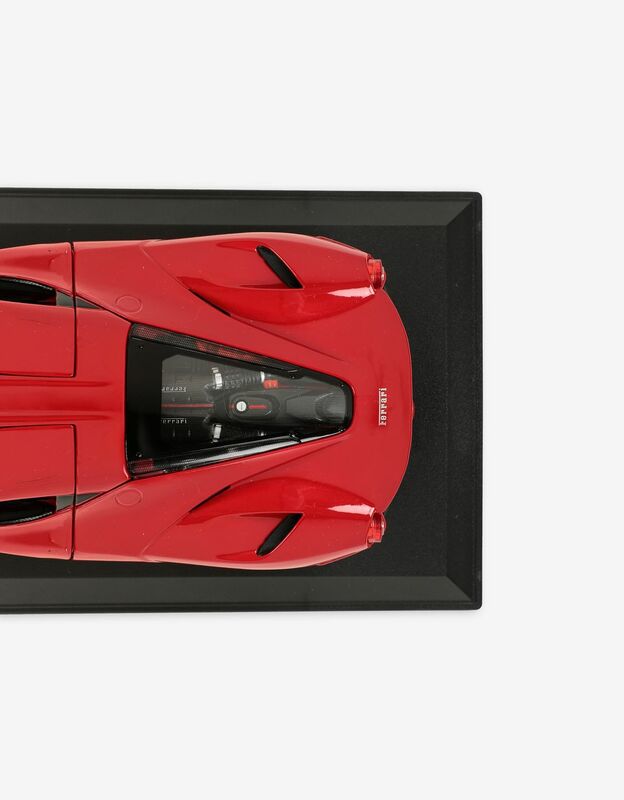 The model, reproduced on a 1:18 scale, stands out for its opening doors, working steering, and detailed interior. 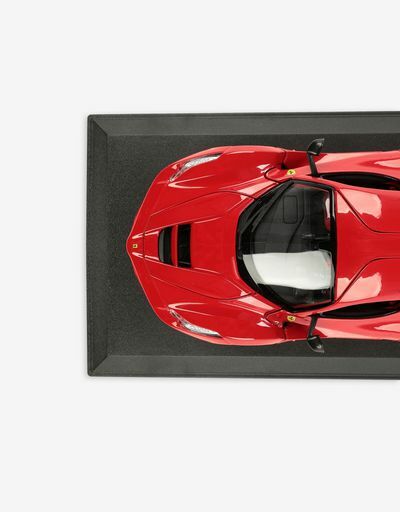 LaFerrari R&P, a small collector's item, comes with an elegant case.